Dear Mr. Leung, the file for 01-21-2019 was uploaded wrongly. Please kindly fix it. Thanks! Dear Mr. Leung, the file for 01-02-2019 & 01-04-2019 are missing. Please let us replay them again. Thanks! I would greatly appreciate if you could let me have a chance to replay 2 audio files: 07-03-2018 平常心 人的真正價值 & 07-02-2018 平常心 不能飛的天鵝. The replay program is handled by our local team in LA. Will follow up with you via email. March 10 is Sat and we don’t have 平常心 program. If you can send me more specific information, I will try my best to check our record. 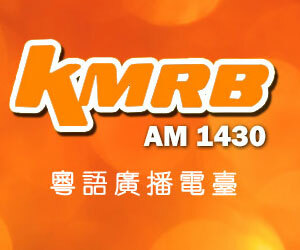 Hi Mr. Leung,I love your program, I always listen them. Shelly. 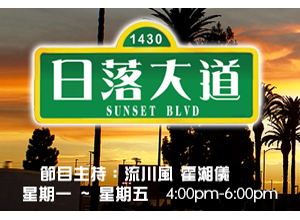 我每天都是在纲上收聽贵台 ( from San Diego ) 上一陣子，好多時聽到一半時，電台停下来然後又再重播剛講过的.. 近日簡直無法收聽 ！總是 Saying. : Error loading media , file could not be played . Then when I try to use my cell phone to listen , it says ‘ network is unavailable try again later ‘ ?? Please note that the file “07-03-2017 平常心 沒有起步，就沒有進步” didn’t work. Please fix it. Thank you Philip. The program has been fixed and put it for replay. The file for 07-19-2017 is missing. Please upload it. 07-19- 2017 平常心_第二個生日 Program is available for replay. Do you have the CD or book of 平常心? Thank you Anita. We do not have the CD or book yet. But we are considering to invite Micheal to visit LA to meet our radio audiences. thank you very much deeply appreciated. Thank you for your interest to have the program CD. With the limitation of license control, we have not been able to produce 平常心 program CD yet. We will continue to seek for opportunity in CD development. Thank you for your message. We will follow-up for the replay function. Please re-upload the media file for 09-27-2016 平常心-需要和想要. The file for Sep 27 2016 is available for replay. Thank you for your support to AM1430. Hi Mr Leung,I enjoy your show every day, very good story and true . Do you have the last old files from 12/2015? Thank you for your support to AM1430. Currently we only keep 15 episodes of 平常心 for replay function. So December 2015 programs are not available for replay via web-site. Could you please advise if your story I can find it in writing? The story that I read came from many different books. It’s not easy to identify which one is the story you want. which date is the story about two little monks from two temples collecting water at a creek everyday. one of them digs a well and stops going to the creek anymore. can you please re-post it if it is not listed above anymore? Thanks! The program title is 未雨綢繆 (July 10). Will check with the operation team to add the replay file. thank you very much for the speedy reply!!!! appreciate your help!!!!! your program and customer service are awesome!!!!! thanks! what time will you upload today’s audio? The media file for 5-23-2015, 相由心生 is incorrect. Please fix. Thanks. Can you send me the lyric please. You can find it in youtube by using the song title. The media file for, “有家人才是家” is incorrect. It is a duplicate of “命好不如習慣好”. Please fix. Thanks. Thank you for your comment and support to AM1430. Will fix the program file accordingly. Can you give me the name of the book wrote by Dale Carnegie you mentioned on April 2. Michael mentioned about Dale Carnegie wrote different books. He wrote a few books and you can google it on Internet. Hope you enjoy reading his book. Since March 20 2015 Program (放不下就得不到)is out of the replay range. Would you please send us your email address to : am1430.net@gmail.com for further instruction to replay. I also would like to receive a copy of this lesson. Thank you. Please check your email for the requested file. March 20 2015 Program (放不下就得不到), I also would like to receive a copy of this lesson. Thank you. Currently we only keep 15 episodes for 平常心 to replay. Your required program is beyond our available schedule.